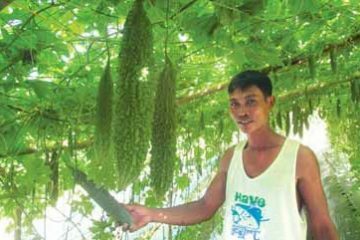 Read how former seaman Marlon Colcol became a successful vegetable farmer in Morong, Rizal. Marlon Colcol was only 18 years old when he left his hometown of Bagabag in Northern Luzon’s Nueva Vizcaya Province, the gateway to the Cagayan Valley Region, to see the world as a seafarer. He signed up as an able-bodied seaman, the most ordinary and lowliest rank on commercial ship crews, starting as a messboy and helper in the galley (ships’ kitchens) and doing odd jobs on deck. But the shipping company that the young man joined wasn’t ordinary at all—it was a Norwegian firm that owned and operated a fleet of offshore oil exploration vessels. With his natural knack and ability for acquiring knowledge, and as the weeks and months passed, Colcol conscientiously learned new tasks that enabled him to move up to higher jobs on board, eventually getting a technical one when the opportunity came a few years later. During brief breaks between contracts in the 25 years that he was with the Norwegian company, Colcol married a girl from Morong, Rizal. The couple decided to settle down, and he bought a two-hectare piece of farmland. Even if he’d been around the world and the sea had gotten into his blood, he was still a farm boy at heart. It was not to be so. In 2012, due to a shipboard accident, he had spinal surgery in the United States; afterwards, the company promoted him to Safety Officer, but Colcol opted for early retirement on partial disability at age 43. In 2013 he was happily back at the farm in Morong’s Barangay Lagundi that he decided he would never leave again. He had been planting white corn on the elevated portion that was most of his land. As the crop was hardly profitable, he thought the condition of the soil was a problem, so he planted mongo to improve it. 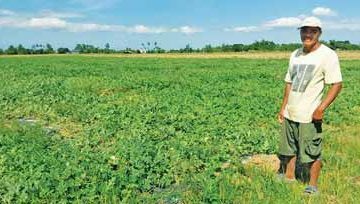 When the mungbean plants were flowering, he hired a tractor to plow the entire crop under as green manure, making other farmers in Morong chuckle and wonder what he was doing. What happened was that Colcol had become acquainted with Cholo Raymundo, an agronomist from nearby Cardona town who worked for a leading vegetable seed and crop care company. Raymundo suggested Colcol grow short-term crops like vegetables—for starters, why not try eggplant, one of the most in-demand veggies on the market? who produced ready-to-plant seedlings as an agibusiness. Since the ex-seaman could afford—and really wanted—drip irrigation, Raymundo gave Colcol advice, helping him and his workers install the drip lines. The latter says he bought the cheapest materials for the watering system. Despite the glitches that accompanied his first vegetable crop, Colcol harvested about 7,000 kilograms of Condor Lightning fruit or about 2.8 kilos per plant in clusters of two to four fruits before the field was totally flooded because of heavy rains in September. The plants survived but Raymundo and his supervisor advised the farmer it was better to replant instead of continuing to fertilize the survivors because their yield would no longer be good, making the crop unprofitable after that. Expanding his eggplant field to 3,000 sq. m., Colcol bought seeds of Condor Lightning and produced the needed seedlings in a newly-built nursery. Raymundo had him use Klasmann Peat-based Substrate, an imported growing medium that ensures the highest seed germination and seedling survival rates. 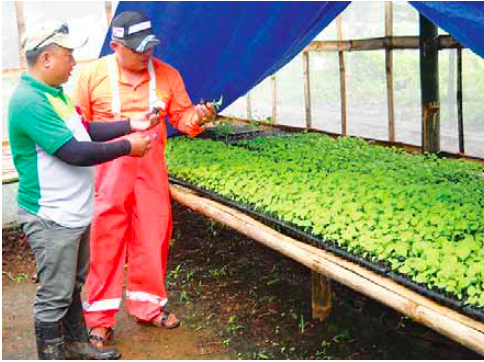 Colcol built the nursery and bought the inputs out of what he had earned from his first crop, which he sold at an average farmgate price of Php30 per kilo. 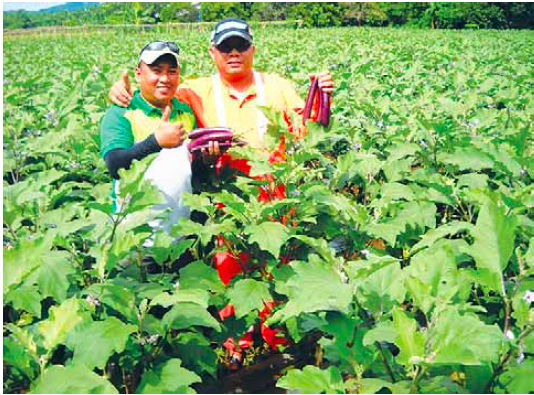 Twenty-four days after sowing the eggplant seeds, under Raymundo’s guidance, Colcol and his workers transplanted the seedlings on the 40 centimeter (cm) wide, 30 cm high, and 20-meter long plots that were a meter apart. They spaced the seedlings on the plots at 80 cm. Raymundo and Colcol inspect Klasmann-grown Condor Lightning seedlings at the latter’s nursery. He planted 3,800 seedlings in all. 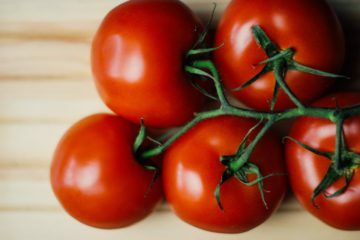 After transplanting, they applied Agrocote at the rate of eight to 10 grams per plant apportioned at one part of the 38-0-0 variant to two parts of 0-0-51. They basally fertilized the plots with dried chicken manure at the rate of 2.5 sacks per plot before installing plastic mulch. At the proper stages of the crop’s culture, they also applied foliar fertilizer, Peters Water-Soluble Blossom Booster (9-45-15), and Yield Booster (15-10-30). The fertilization regimen resulted in the early start of fruit picking in the second week of October. After that week’s two harvests, Colcol’s men picked more than 500 kilos of Condor Lightning—though Raymundo’s supervisor had calculated it would only be about 400 kilos. The supervisor told Colcol that applying Agrocote had a lot to do with the larger yield, which the farmer sold to bulk buyers at Php20 per kilo. 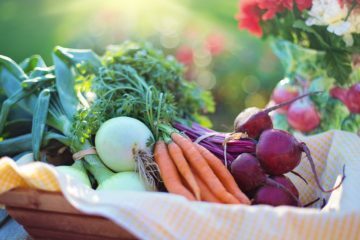 “I’ll expand my vegetable area to 8,000 sq. 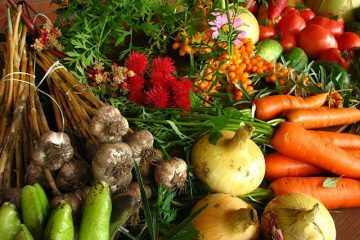 m. with those other crops,” says Colcol. “Although I was absent most of the time when still a seaman, I’ve been aware of the ups and downs of crop production in our country in terms of prices dictated by supply and demand.” He’s also learned that sticking to a crop for too long can result in loss and disappointment. Colcol plans to make his farm an integrated one. He now plants rice in 4,000 sq. m. of the lowest portion of his land, where he has also begun raising tilapia in ponds. He has inquired with Raymundo about growing Japanese melons, watermelons, and Red Lady papaya, and also intends to raise chickens and hogs. His wife Vivian, who takes care of readying the Condor Lightning harvests for their buyers, has also started her home-based buko pie and cassava cake business. He is looking at acquiring land and partnering with his brother in Bagabag for a coconut-and-cassava production venture.